The Image is the Roadmap! - Together, We Make Memories! The Image is the Roadmap! To use a Star Trek metaphor, our "Prime Directive" is that the goal of great framing is to focus attention on the artwork. Over the years, many of our clients have come to trust our design acumen to the point that they simply drop off the work and say, "We'll pick it up when you give us a call." Here is a "Prime" example. 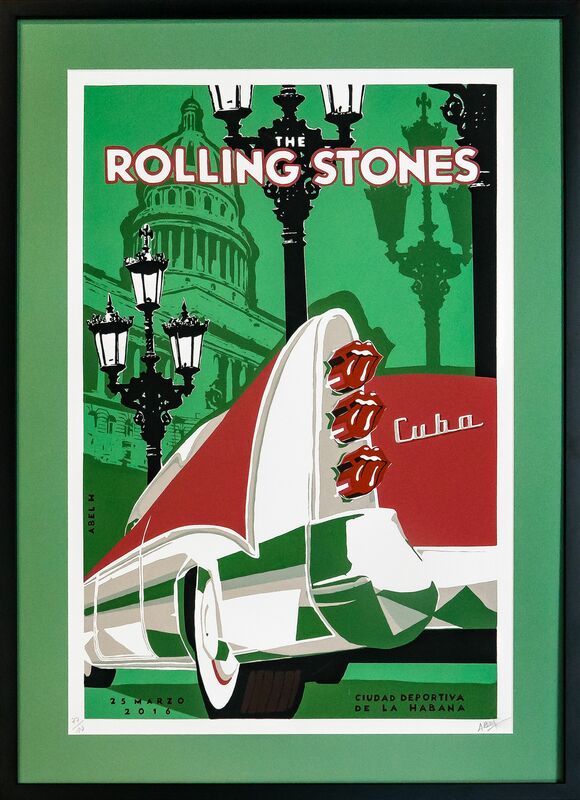 Using the colors and bold graphics of this awesome limited edition serigraph commemorating the Rolling Stones Concert in Havana, we chose matting and framing that integrated the image and the framing so it became a natural extension of the artwork, which proves that at Esprit Decor, "You Can Always Get What You Want!